UK – Having successfully produced Edinburgh’s first open air dance festival for the Fly Club in the city centre’s Princes Street Gardens last Autumn, alongside sister company Creation Live, Martin Audio partners VME moved to the outskirts of the Scottish capital, and the spectacular 6500-acre Hopetoun House Estate overlooking the River Forth, for the second Fly Open Air Festival. 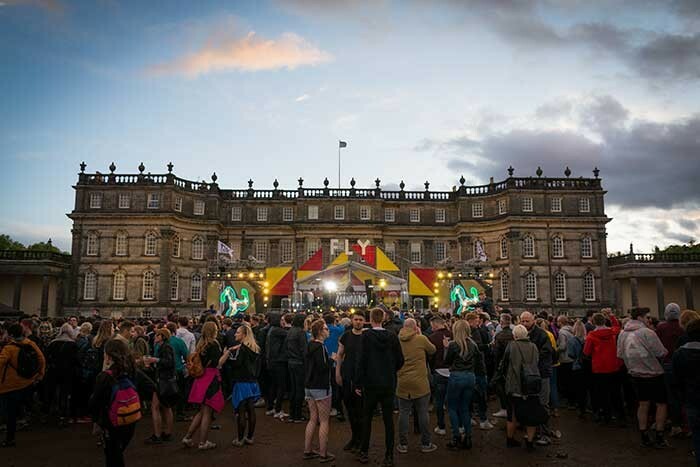 Unlike the fixed Princes Street bandstand a festival infrastructure needed to be created in the grounds of the 17th century mansion and sound levels closely observed, a challenge that Martin Audio’s award-winning MLA Multi-cellular Loudspeaker Array was more than equal to. But the company is used to working on the fly (no pun intended) and the reduction to two hangs of four MLAs per side, flown off the scaff and bolstered by an MLD downfill on the stage lip to provide front fill coverage, was without compromise. VME’s skill was in in the way they created a broadside cardioid ground array of nine MLX subs, seven forward facing and two reverse, to optimise the levels without threatening thresholds. This enabled VME to crank up the levels for artists such as Artwork, Bicep, Midland, Denis Sulta, Hunee, and Fly resident La La. Concerns about shaking the windows of the 17th century mansion were allayed by the clever way in which the sound was tapered off in the Martin Audio Display software towards the perimeter, without the need to use the Hard Avoid function. 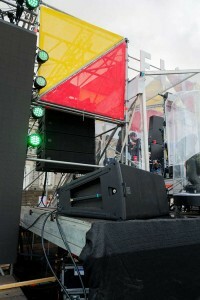 “We delivered sound at an SPL of 95dB(A) to the concession areas back to the road but were able to maintain 100dB(A) in the main arena,” said Mark. Meanwhile, his off site readings showed just 57dB(A) at the rear point of the properties estate, whilst it was 70dB at the front which faces the bridges (the majority of this low end). Tom Whittle who worked with promoter Tom Ketley to deliver the event from a production and logistical point of view said, “Once again I was impressed by Martin Audio’s MLA product; it delivered a good coverage whilst giving the central audience a very high level for an outdoor event. Thus MLA had the dual purpose of satisfying both the 4,000 dance aficionados attending the sell-out event, the local environment requirements, and of course the landlords, Hopetoun House. As for the promoters, they were so impressed they have rebooked Creation Live and VME for their next event this Autumn, back at the Princes Street Gardens Bandstand.